The threat of workplace assault is undeniable in America. Workplace assault accounted for approximately two out of every six unfortunate work incidents in 2015. Statistics have shown that workplace assault is often a tragic event that can happen to any business. Sometimes for completely unrelated reasons and other times for a highly connected agenda. Furthermore, bringing into play workplace assault prevention and preparedness plans into facilities throughout the United States have never been more urgent. What are Some Great Business Safety Solutions for Workplace Assault? Business safety solutions consist of having an incident response plan in place along with several other security products. For instance, a technology-driven panic button program paired with a surveillance system and perhaps a security staff would be a great collection for a businesses security initiative. All of these options together give any company a robust security plan. These products paired together help to increase the level of protection for both staff and employees. The moment a workplace assault happens, the panic button can alert multiple responders of the crisis while the surveillance cameras can record footage of the crime. The incident response plan gives employees the knowledge to utilize the correct plan of action while the security staff assists with moving everyone to safety. The rapid notification of the panic button alert also gives responders the chance to assuage the situation more efficiently. How do you know a Computer-Based Panic Button Works in Cases of Workplace Assault? Nurse’s stations, HR offices, and receptionist’s desks are some of the many places where workplace assault occurs. Any employee, no matter their position in the company, can become a victim of workplace assault. A technology-driven panic button from CRS Notify can offer these employees a better sense of security. 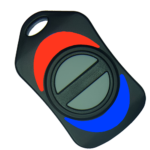 The panic button can allow them to call for help quickly and discreetly without drawing attention and putting themselves in danger. Computer-based panic buttons make it easier to contact the authorities when a traditional 911 phone call might not be possible. Do Staff Members Need a Way to be Notified of Workplace Assault? 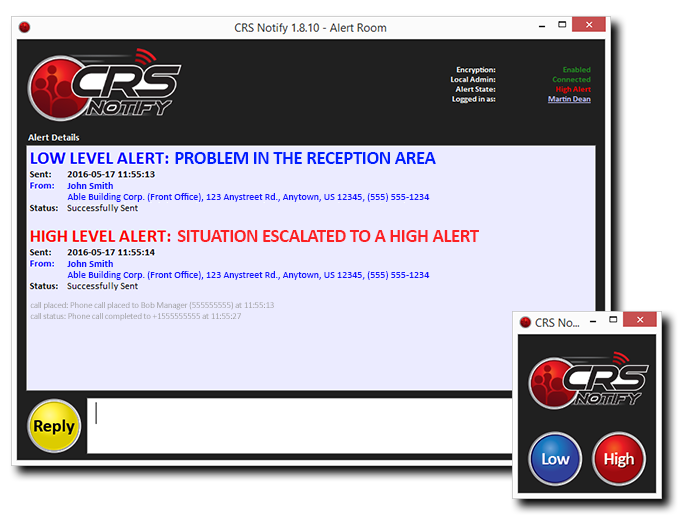 PC panic buttons from CRS Notify send out mass notifications to employees and responders. This rapid alert cuts warning times down to seconds instead of minutes. Furthermore, this type of notification strengthens the response time of responders and allows employees to time to react efficiently to the crisis. Once authorities respond to the alert, there is a greater chance of catching the assailant. Through multiple communication channels, the crisis information is directed to staff members. Having this valuable information in a timely fashion can save lives. 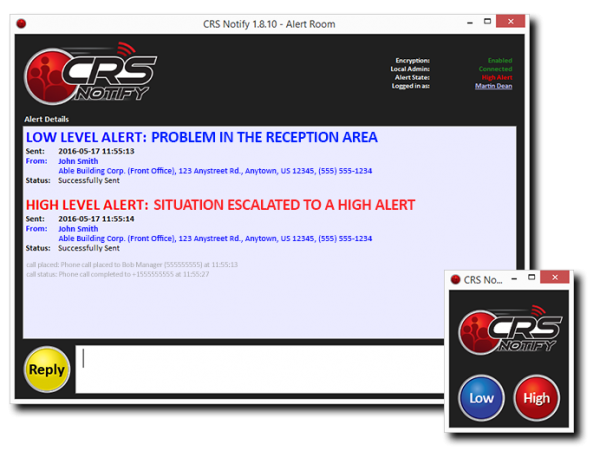 PC panic buttons from CRS Notify help to protect employees from life-threatening incidents. Moreover, the rapid notification gives authorities needed information to respond to the workplace assault. With the click of your computer mouse or push of a button on a hardware device allows staff to send an alert without alerting the criminal. In conclusion, a dedicated PC panic button on your network adds a valuable layer of security in case of workplace assault. A PC panic button system quickly and silently asks for aid and offer employees a better sense of security. PC panic buttons are a solution you can count on in a crisis. Still Unsure About Workplace Assault?